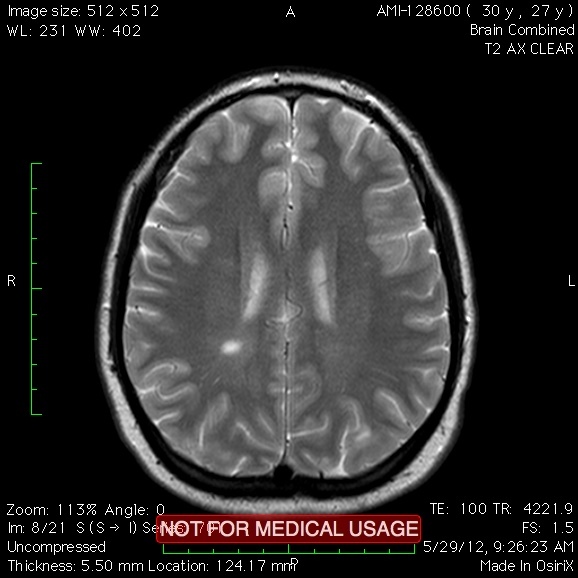 You may have picked up on this, but I have Multiple Sclerosis. If I were standing there without my cane you may never know. When I do have my cane people think “this dude probably hurt his leg skating or snowboarding!”. I wish that was the case. MS is all about the lesions. A lot of people with MS only get a lesion or two and progress very slowly. I am not that lucky. I continue to get new lesions year after year. 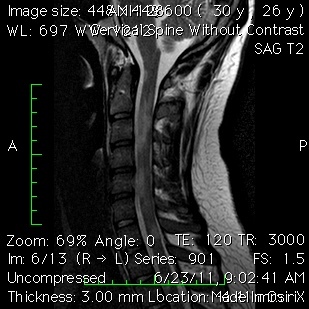 My first set of MRIs found 10+ lesions on the spinal cord and a few scattered through my brain. That was just the beginning. I have a hard time when things feel like they are somewhat stable for a few months, yet in reality the lesions continue to progress. Currently my brain and spinal cord are active. These lesions effect things like cognition, spacial awareness, sensory nerves and muscle strength. It is tough to see the cognitive changes when you rely on the brain to tell you whats wrong. The numbness is the worst on the left side, but the right is no picnic. It’s really is weird not being able to tell if your arm has made it into the shirt you are putting on. I continue to take my injections to hopefully slow to progression but there is no way to know how well it is doing that, if at all. As I transition from Relapsing Remitting MS into Secondary Progressive MS, things slowly slip away. I wonder how much is left. Nobody is guaranteed tomorrow. What are you waiting for? I echo your sentiments about no guaranteed tomorrow. I’m lucky to have only had one episode so far, and am very stable on Tecfidera. But you never know what can happen…if your MS will just knock you down one day. I will try to start living my days in a more fulfilling way, especially in honor of those people who can’t! I feel for you, WheelsandRed. I have at least 9 lesions in my brain, and a large one on my spinal cord, and I am only 15 months into my diagnosis. Cheers, to you, and your brilliant attitude toward MS. The music of Soul Coughing makes me happy, my dream is to fly like a bird and I am waiting for the sun.